To get the aadhar card, you will have to visit the Enrollment Center. You can get the address of your aadhar Enrollment Centre of your area from the official website of UIADI. At UIADI, you will have to fill Enrollment Form to enroll yourself to get the Card. This form is available at free of cost and the applicant has to be present in person to fill the form. The applicant can also download this form from the official website of UIADI. Once your form is submitted then your photograph, fingerprint scan, and iris scan will be taken in order to complete the process of Enrollment. Latest: You can check your aadhar card status online. Click on blue link to know your aadhar status. Aadhar No. is a 12 digits’ unique identity number issued to the residents of India on the basis of their demo-graphical and bio-metric data. Aadhar card is issued by an authority administered by the Central Government of India, which is called as Unique Identification Authority of India (UIDAI). UIDAI was established on 12 July 2016 to issue a unique identity no to all the residents of India by which they can be identified throughout their life. The main purpose of the issue of Aadhar no to every citizen is to provide them a unique identity and to eliminate the fake and duplicate identities. E-Aadhar Card is an electronic copy that is protected by a password and is digitally signed by the UIDAI. Both printed card and E-Aadhar card should be equally valid. An number assigned to an individual will be not be assigned to any other user. 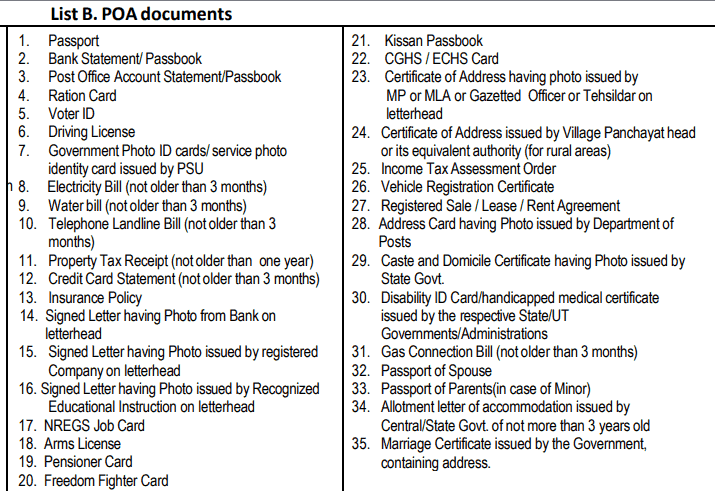 An aadhar serves various purposes of residents of India. It is not compulsory for all the Indian residents to have Aadhar Card. The eligibility requirement of Aadhar card is very simple. If you want to enroll in UIDAI must have been a resident of India. There is no age restriction for enrolment. From a newborn to a senior citizen all are eligible to apply to enroll. Children below the age of 5 years are enrolled on the basis of enrolment of their parents/guardians. For such children only demographic information is collected. 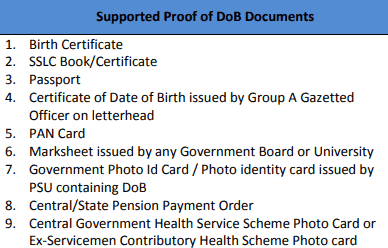 You need to have any of the following nationally valid documents as a proof of identity (PoI), age (PoDOB), address (PoA), and relationship (PoR) at the time of enrolment. 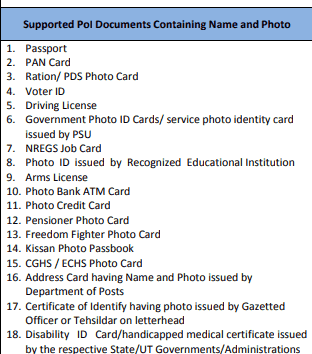 Enrolment of the citizens shall be canceled in the absence of any of these supporting documents. India has adopted the unique identification system for its civilians and this unique identification system is commonly known as Aadhar. Aadhar card is the basic required document for identification needs of people residing in India. India is not the only country which has adopted a unique individual identification number for its citizens; many other countries also have adopted this system. The United States of America also issues a unique code of nine-digit number to its permanent and temporary citizens. To provide a unique identification number to Indian citizens, the Unique Identification Authority of India (UIDAI) was created. UIDAI was established by the Government of India in January 2009. 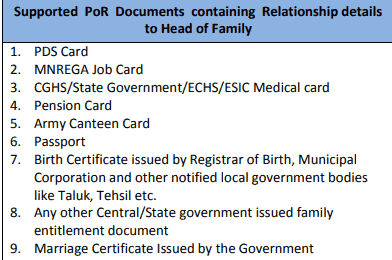 UIDAI works under the central government of India. UIDAI collects the biometric and demographic details of Indian residents and stored in a centralized database system called the UID Database. Based on collected data, the Unique Identification Authority of India (UIDAI) issues the 12 digits unique identification number to the Indian resident. This 12 digit identification number is also called UID number and Aadhar number. Aadhar is not mandated for everyone in India but it required as an identification number at a bank or in schools and many other places. Overall, we can say that Aadhar is an important document. Aadhar helps the government to offer its services to the targeted group of civilians.